IT budgets continue to be limited. Technology too is getting more complex. New realities—social, mobility, analytics and cloud—that are fundamentally changing the way companies do business, opening new avenues to customers, markets and growth at an unprecedented rate. The business demands the highest level of application availability and stability. Agile makes development turnaround times very shorter, and many large enterprises are adopting DevOps and agile. Testing teams are under intense pressure to quickly and thoroughly test applications to support a wide variety of end user devices, such as laptops, tablets and phones, without sacrificing quality and speed of delivery. IT executives globally are looking for new ways to improve application quality and speed and lower cost while managing their digital transformation. This is especially true when they spend as much as 10 to 12 percent of the annual IT budget fixing core application problems. Where do USS make a difference? Radically improve productivity and manage complexity with intelligence. Our clients come to us because we help them rise to these challenges. We think differently about application testing—more innovatively and holistically. 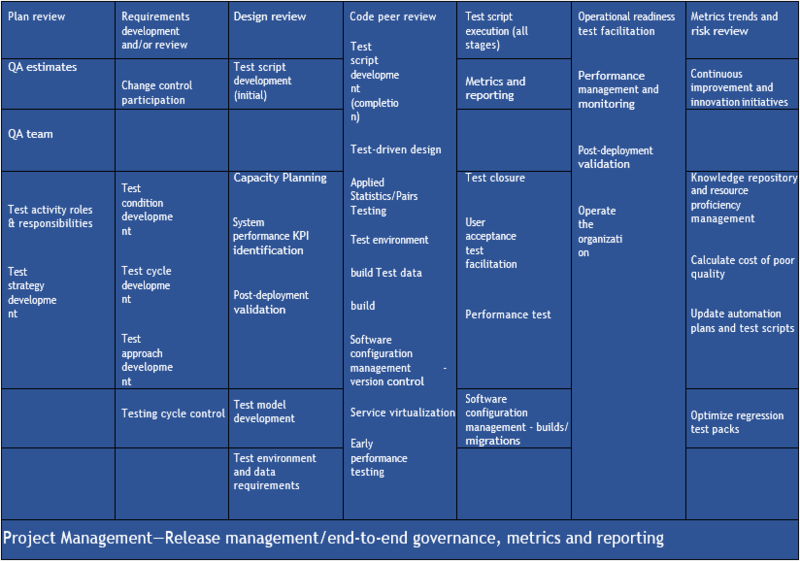 Instead of testing for quality at the end, we focus on it throughout the application lifecycle. In other words, we adopt a more agile “quality in, quality out” mindset to cope with shrinking budgets and increasing technical complexity. By adopting industrialized processes and infusing intelligence into delivery, costs can be reduced, and application reliability improved. And we go one step further. 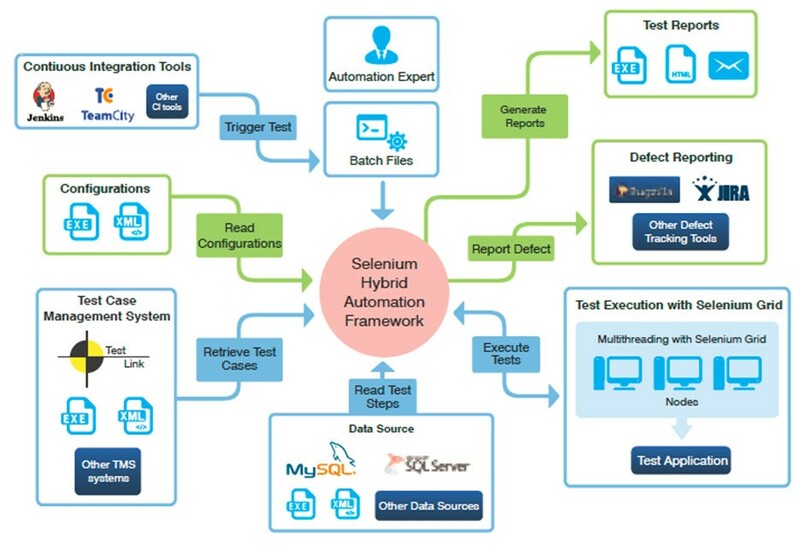 We work with you to improve testing productivity through predictive analytics and automation while also driving higher quality across your application lifecycle. In many cases, we also assume the day-to-day responsibility for your testing operations. As your strategic quality partner, we will help you create a continuous quality environment in which to create, maintain and improve all aspects of your products, systems, and processes. We will help you define your quality management processes, standards, and methods, and ensure eligibility for certification. We can help you formulate a quality management strategy and bring independent, third-party governance that mitigates risk. We can also help you create a ‘Quality Competence Centre’ – guaranteeing that quality improvements underpin all your quality and testing activities. How will you confidentially embrace your digital strategy for tomorrow’s generation? USS has the breadth of skills to support the full testing lifecycle and depth of technology experience to support the most complex solutions. Our outsourcing solutions are tailored to meet the needs of your enterprise, business unit or even major multi-year programs. At the core of our outsourcing engagements is our Program Management specifically designed for Quality Assurance and Quality control needs, which encapsulates the operating model, services, technology, and people. Embedded within it are processes for continuous improvement and demand-based resourcing, which allow us to optimize delivery over time and provide flexibility for your changing requirements. •	By leveraging our industry partnerships and wider consulting capabilities, we can extend the outsourcing scope to include the provision of software licenses, management, and hosting of test environments or even outsourcing of other delivery functions (e.g. PMO). If you would like to know more about the potential benefits automation can bring to your business, speak to us about our “Automation Strategy Assessment” and get a true picture of the potential value to your organization. USS is structured around four core specialist areas of expertise. Our respective teams work closely with our technology teams, industry partners and technology providers to bring innovation and best practice into our core service offerings. A dedicated team specializing in testing Oracle, SAP and Microsoft enterprise ERP and CRM applications. •	In addition to providing project delivery services, we also support ongoing manual and automated testing of functional and non-functional testing of patches, upgrades, and changes to applications in the operational environment. Our specialist technology test engineers provide deep expertise across a spectrum of technologies, industries, and environments. •	We understand that although the underlying testing principles are the same, different solutions (such as mobile, business intelligence and embedded software) require specific processes and techniques to be applied for testing to be efficient and effective. •	As well as being experts in technology, we pride ourselves in being innovators in our approach, leveraging both traditional and modern delivery methods such as Agile, Continuous Delivery, TDD and BDD. •	USS proprietary frameworks and industrialized delivery processes to significantly reduce implementation and maintenance effort. •	Requirements for more agile delivery, solution interoperability with a plethora of technology devices and increased solution complexity have all driven a need for smarter ‘automated’ testing processes to be established. Performance of your IT systems is often intrinsically linked to key business objectives, whether critical to scaling efficiently to meet peaks in demand, driving customer experience or simply meeting SLAs. Despite the criticality, the need for performance testing is often overlooked or considered too late in the lifecycle – leading to ineffective testing, operational inefficiency, and sometimes critical failures. At USS, our Performance Engineering team focuses on early identification and quantification of performance requirements to ensure associated risk is mitigated through a strategy that is not only right-sized but right-timed.